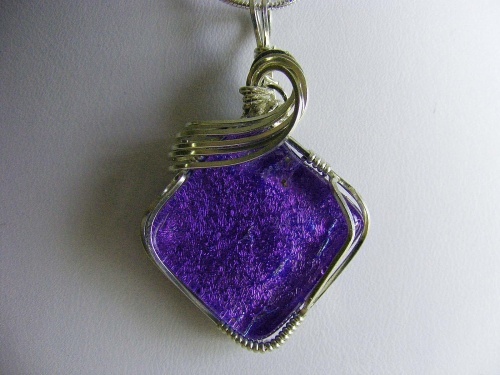 This handmade dichroic pendant was a piece made from the late Rhonda Young. Sculpted in sterling silver swirls, this piece is one of a kind. Measures 1" x 1" and comes with a sterling silver chain.